The club was established in 1890, but the first nearly 80 years of their history were spent playing in local leagues such as the Aldershot Senior League, Basingstoke and District League and latterly, the Hampshire League. In 1978, they made the step up to the Athenian League but generally struggled in their six seasons here, the highest finish of 13th coming in 1981. Ground grading issues saw Fleet Town drop down to the Combined Counties League in 1984, but the struggle continued with two bottom-placed finishes. 1986/87 saw them drop down to the Surrey Premier League and once again finish bottom. The following two seasons were spent in the Chiltonian League, with a credible 6th place finish in 1988. 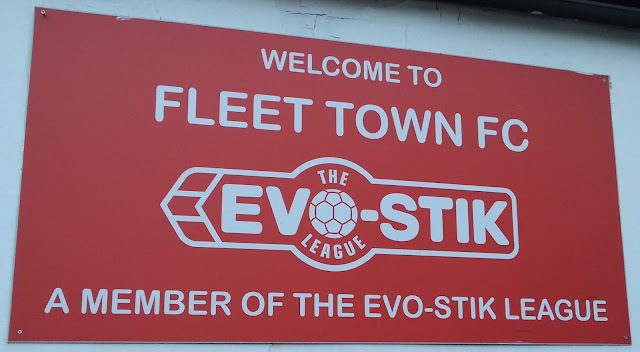 Next stop was the Wessex League and form gradually improved over their six seasons here, with Fleet Town being crowned champions in 1995. 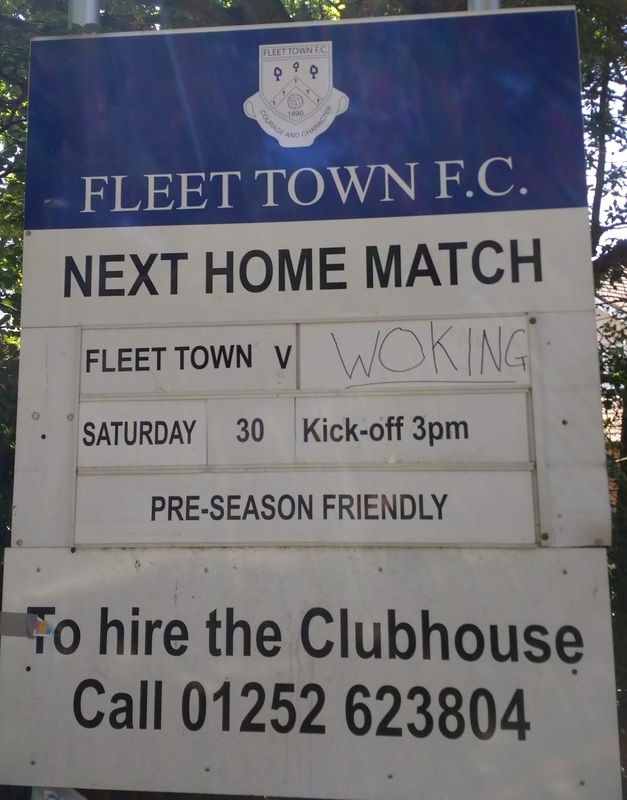 This saw them promoted to the Southern League and despite a 13th place finish in 1998 (the clubs highest ever finish as it was a step 3 league at the time), form was not great and saw them return to the Wessex League for a couple of seasons around the turn of the millennium. A runners-up spot behind Andover Town in 2002 was good enough for promotion. They struggled at first, only being saved from relegation thanks to the establishment of the Conference North & South. They've remained at step 4 ever since, playing in various divisions of the Southern & Isthmian Leagues. A golden period was enjoyed in the latter half of the 2000's which included several playoff campaigns and a runners-up spot in the Southern D1 South & West in 2008. Recent times have seen form tail off and they are without a top-half finish for the last seven seasons. Fleet Town's best-ever FA Cup progress came in 2007. 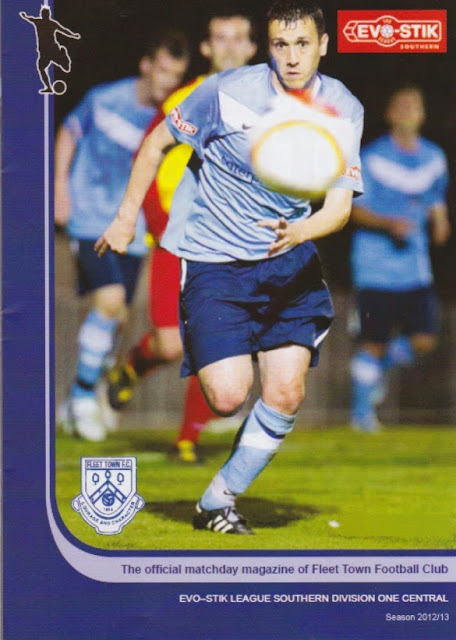 That year they beat Slough Town, Gosport Borough and Mangotsfield Town before a 2-1 defeat at Havant & Waterlooville in the 3rd Qualifying Round. 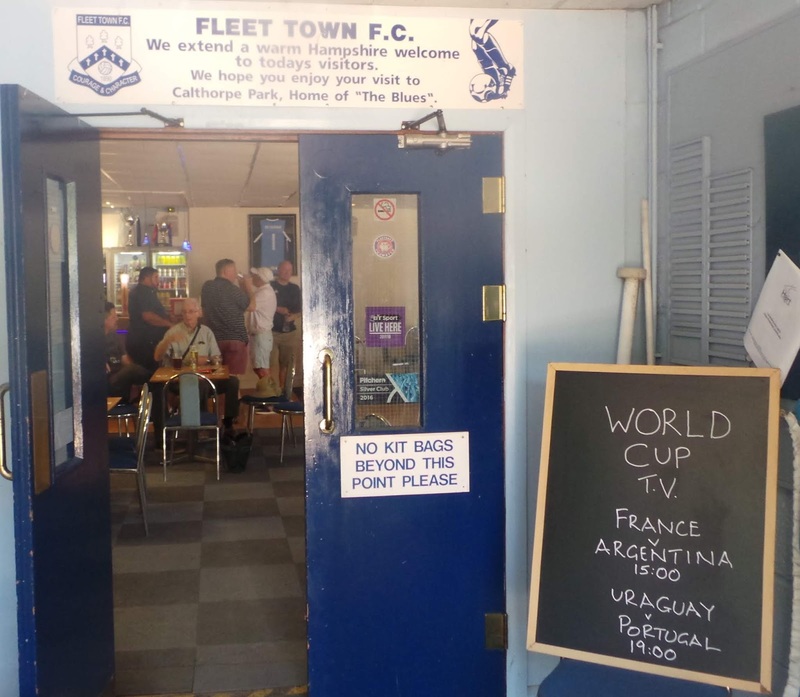 The FA Trophy has seen little success with the 2nd Qualifying Round being their record progress and the FA Vase has proved equally barren, with the 2nd Round in 1979 being the club's best run. Local honours include the Russell Cotes Cup on 5 occasions, the North Hants FA Cup twice, the Aldershot Senior Cup on seven occasions, the Southern Counties Floodlit Cup twice, the Simpsonair Challenge Shield twice and the Hampshire Senior Cup in 2009. The record win of 15-0 came in a Wessex League game against Petersfield United on Boxing Day 1994 whilst the biggest attendance came against AFC Wimbledon in 2005 when 1,336 attended their Isthmian Division 1 South clash. 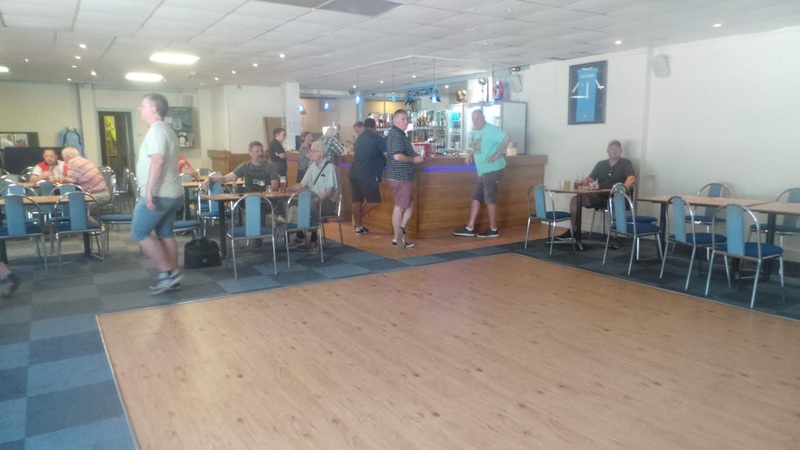 Since my previous entry in this blog, I had done a huge walk from Adams Park to Oxford's Kassam Stadium to raise funds for Wycombe Wanderers, who in their first season of trust ownership, are set to make a big loss financially. In the end, we raised over £3,700, with a target of £4000. With gift aid, it would be increased by a little bit more, and hopefully, this will be useful to the club. It was certainly a painful and tiring walk. It was my own fault for not pacing myself and trying to keep with the front of the pack, but I was at least rewarded at the end with a few nice pints of cider in the sadly defunct Priory Pub and a 1-0 win for Wycombe. Pacing myself was something that I had no intention or desire to do in my quest to watch football. Tonight would be my 105th match of the season, and I think that I could very well break my record of 117 games seen in season 2003/04. 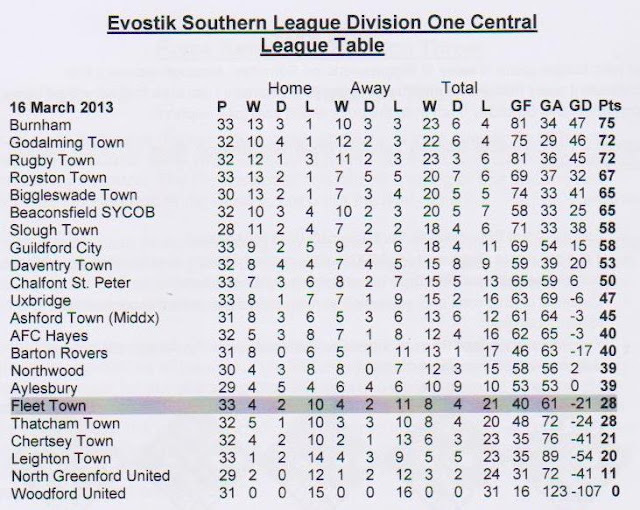 And after Fleet, I would only have Guildford City to do, to complete the Southern League Division 1 Central. 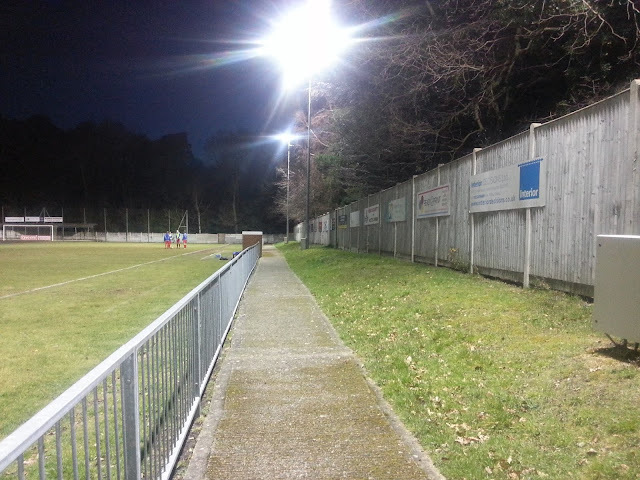 I had actually been to see the ground before, on the way to another game and it looked like a pretty smart place. I left just after 6.15 and after having a look at the routes on my sat nav, opted for one that took the same amount of time as the others, but saved 10 miles by taking the country route due to traffic elsewhere. I got to the ground at 7.30, went in and sat reading my programme and checking Facebook while I waited for kick off. After the game it was a quick drive home, taking just under an hour. I listened to the Europa League games on the way home, Newcastle sadly going out to Benfica and Spurs taking Swiss side Basel to a penalty shootout. I got in just in time to watch Spurs lose the shootout, chief culprit was Adebayor, who fired high, wide and not very handsome to decide proceedings. I first decided on this game back in mid-June when browsing the pre-season fixtures. With the nearest new grounds being over 100 miles away, I was more than happy to do a revisit and update my blog. I also knew a few people that were going and it would give me the opportunity of a pub lunch in Wetherspoons. Initially, fellow hopper Anwar was going to come with me, but family stuff meant he had to pull out. Thankfully, it was only 40 miles each way, so not too much in petrol. I'd enjoyed myself the previous night at the Longlevens v Cirencester Town pre-season friendly, but a late night meant that I didn't get up until after 8 am. I spent the morning at home, researching Fleet Town's history and catching up on last night's Corrie amongst other things. I left a midday and after getting caught up in a bit of traffic, arrived at the ground at 1.10. 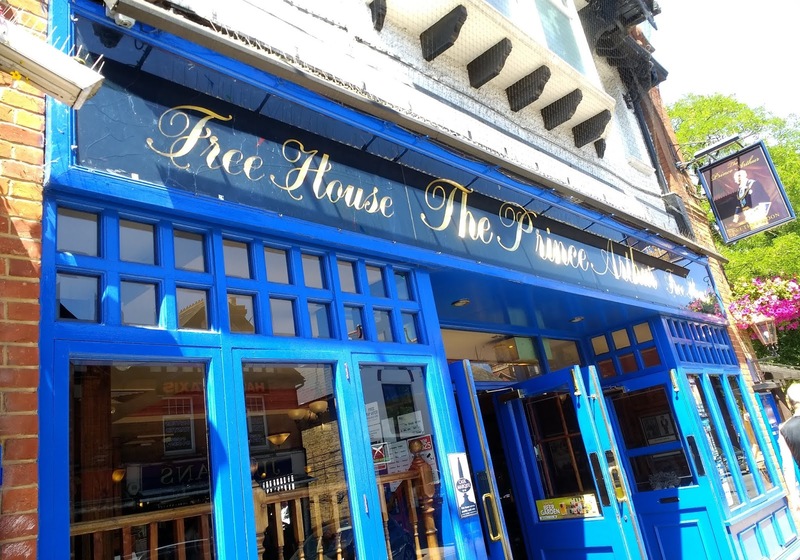 I headed straight for Wetherspoons number 166, The Prince Arthur. I was disappointed by the lack of real cider but still managed to get a chicken vindaloo and a pint of Magners for under a fiver. They were not the best, but still enjoyable. After a look around the rest of the high street, I got a drink from Sainsbury’s and made my way back to the ground, arriving at 2.20 and paying a fiver to get in. 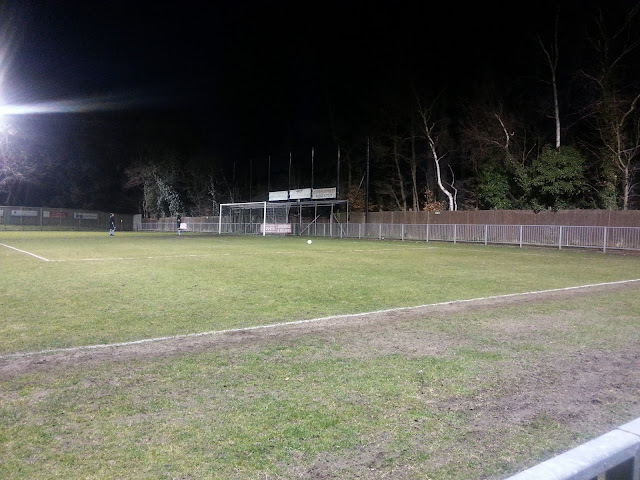 Woking fielded a team of youngsters and unspecified trialists, so there was no one I really recognised. I said hello to fellow hopper John Main who had reached a real landmark by visiting his 1000th ground. 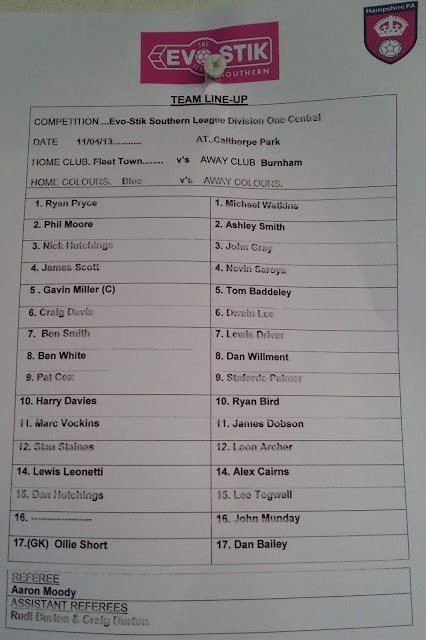 It also completed the Southern D1 East for him, a feat that I was well on my way to achieving on my last visit and it being one of the first I completed as a groundhopper, thanks to it being fairly local to me. 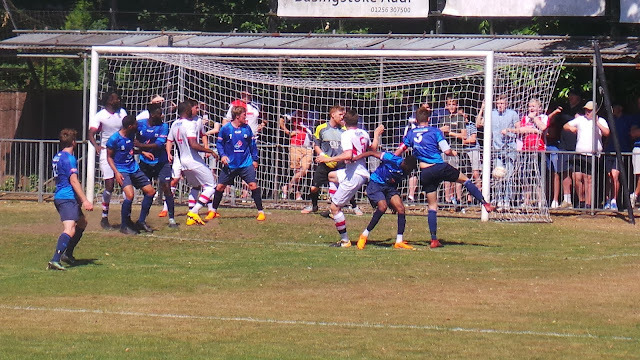 Both sides had chances early on, but Woking took the lead after 15 minutes when a cross from the right was headed back across goal and tapped home by a trialist. 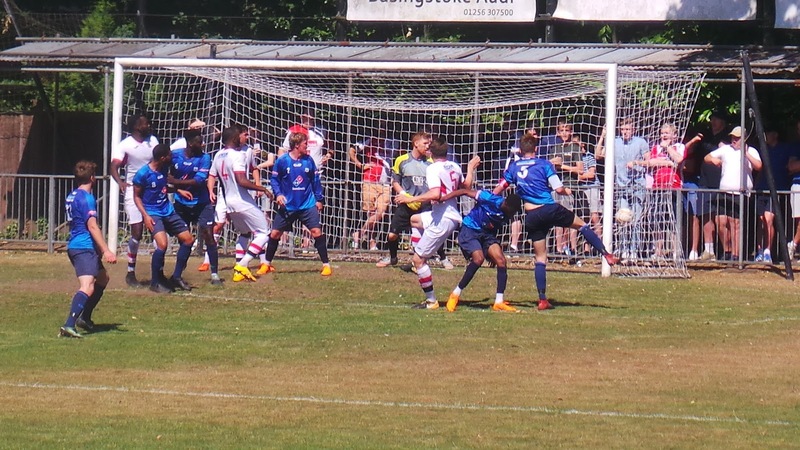 This led to Woking having a few chances in quick succession, but the game soon evened back out. After 35 minutes, it was 2-0, this time Jack Cook headed home a corner from the right. It was a completely new team for the visitors in the second half, with new manager Alan Dowson who enjoyed great success at Hampton & Richmond exploring his options. It didn’t really alter the flow of the game, Woking making it 3-0 with a low drive from just outside the area by Reggie Young on 57 minutes. The rest of the game passed without much incident, the visitors looking the most likely to score. 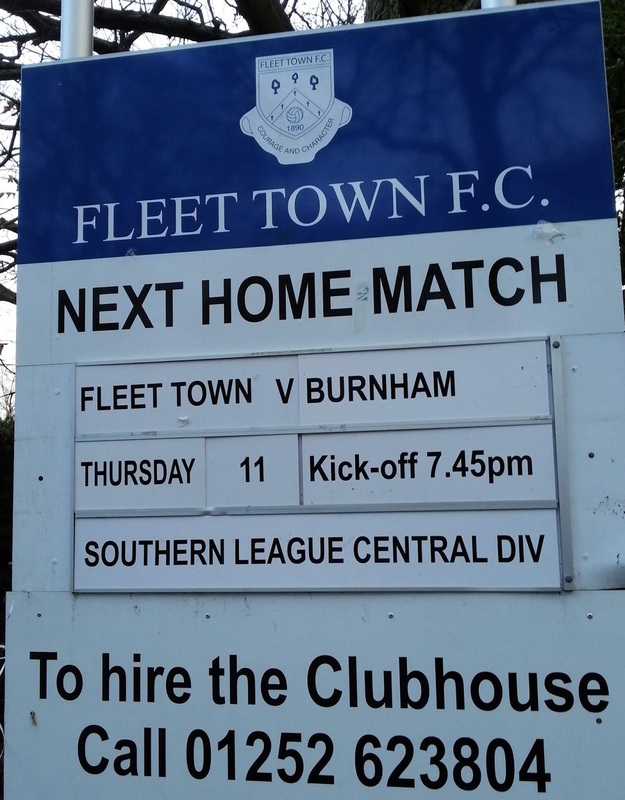 It had been well worth it for Fleet though, the well-priced entry had drawn out a decent crowd which will help boost club coffers. They were also sporting a very nice kit, sponsored by Dominoes who provided the after match food. This was a fact that I found out when I found my car blocked in by players and had to go to the bar to sort it out. They were very friendly and helpful and soon enough it was sorted out. 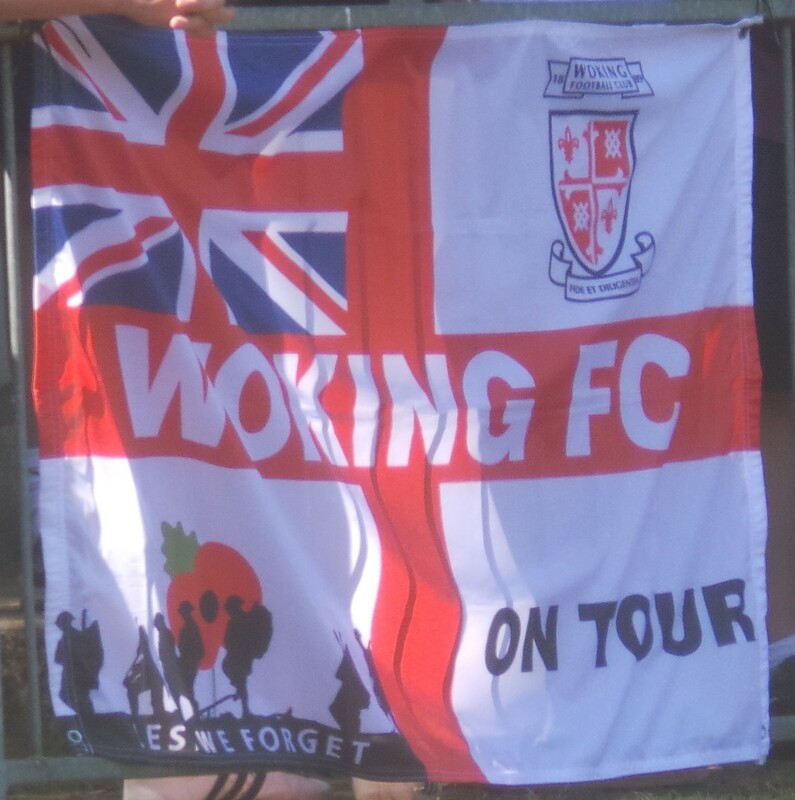 At least it gave me a chance to meet Stoo, a Woking fan who I know from social media and we had a nice chat. I left at 5.20 and had a good journey home. I listened to TalkSPORT - whilst I'd been at the game, France beat Argentina 4-3 in what sounded a cracking game. I got back at 6.10 and noticed that my bumper was starting to come away from the rest of the body on one side of my car. It's still fairly secure, but its yet another problem with the hopeless French heap of junk. I'd love to sack it off, but I wouldn't get much in part exchange for it as the depreciation has been horrendous. I was glad to have a nice dinner and a few ciders with the World Cup game whilst I wrote my blog. As I type this, Uruguay are 1-0 up at halftime and are good value for it. CALTHORPE PARK is a tidy non-league ground, which fits in well for the level they play at. The main stand is their pride and joy, holding around 200. Views from here are pretty good, despite there being a post in the middle. 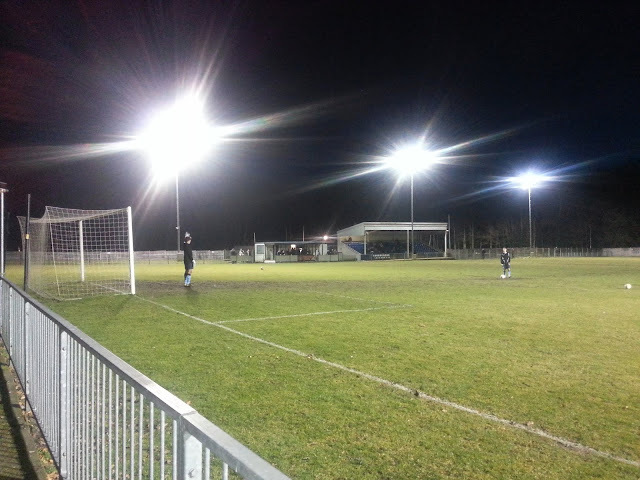 The rest of the ground is mainly hard standing. 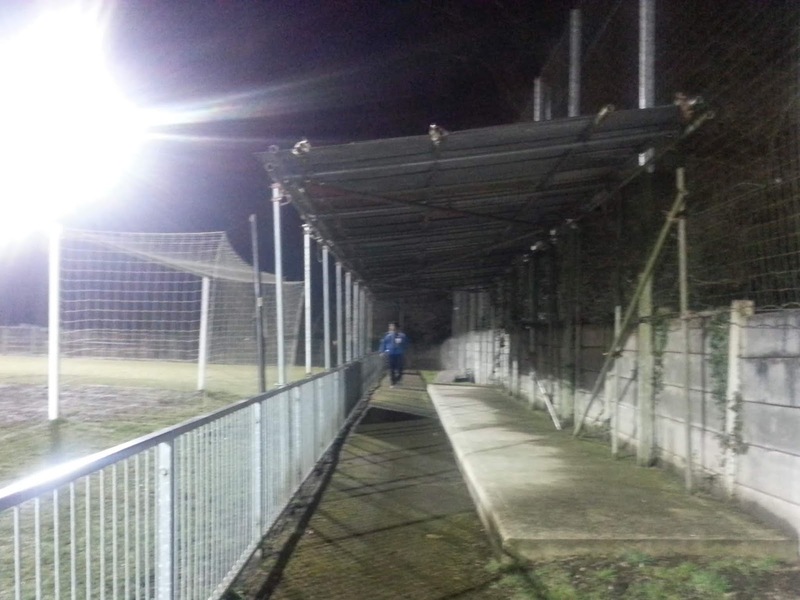 There is a small bit of scaffolding behind each goal that provides cover to satisfy ground regulations. The clubhouse is pretty big and offers a limited range of drinks, but you should find something you like. There is a range of club merchandise for sale in a cabinet in the bar. There is also a tea bar selling a range of hot and cold food, but I didn't try anything on the night. My second visit revealed that the town was very close by. It's a fairly small town, but it offers a reasonable choice, including a Wetherspoons which is not one of the better in the chain. 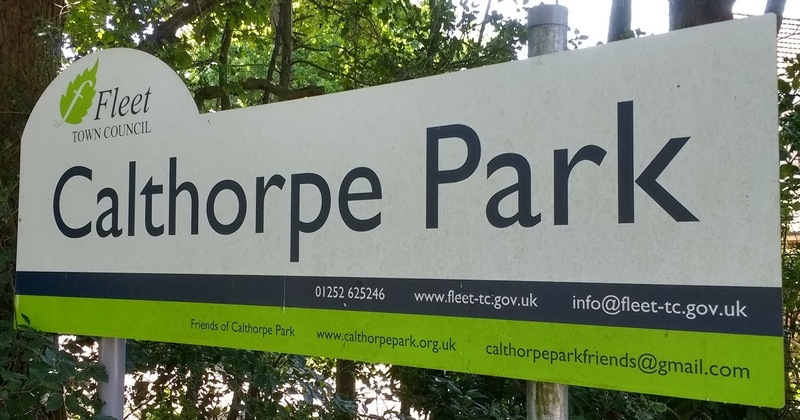 Car parking can be troublesome, so choose carefully if you want a quick getaway.